CentricAir 2.7 Whole House Fan 2709 CFM (HVI-916) up to 2400 SQ. Ft.
CentricAir 2.7 whole house fan produces a powerful 2709 CFM (HVI-916) and requires about 3.25 square feet of net free attic ventilation and costs about $0.04 per hour to run and uses 288 WATTS of power. It’s designed to cool two story homes up to 2400 sq. ft. and single story homes up to 1500 sq. ft.
CentricAir systems use a German engineered fan motor that uses 1/3 less energy while providing 30% more power than other industry standard fans. These energy efficient fans are rated for 40,000 hours of operation and include a 15-year guarantee. 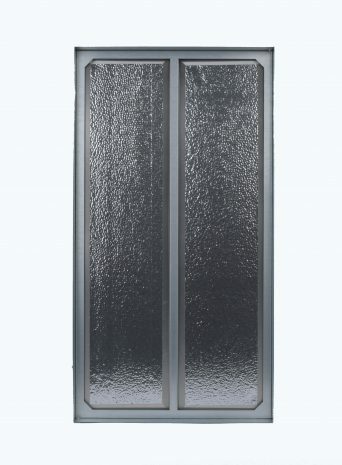 Grille Size (Outer): 16" × 26"
Rough Opening: 14" x 24"
The Centric Air 2.7 is a high quality, very powerful and ultra quiet alternative cooling solution. It uses a German engineered industrial grade fan motor that can provide 30% more power while using 1/3 less energy as compared to other industry standard fans. These high-end industrial grade motors are built to last and are rated for approximately 40,000 hours of operation. The noise level is also really something to hear – or, actually not hear. At a very quiet 51 dBA on high, the 2.7 is whisper quiet. Every aspect of this system is built to a rigorous specification suitable to demanding industrial applications and is completely maintenance free. 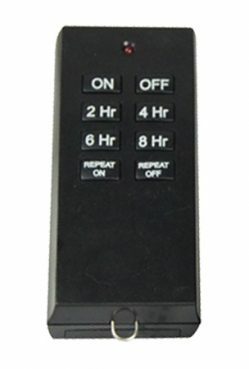 The optional two speed remote control with timer is our most versatile remote control which features an LED display and 5 Timer Functions 1, 2, 4, 8 hours or ON. On high speed the system operates at a powerful 2630 CFM. Set to low speed the system provides a comfortable flow of air while maintaining a whisper quiet noise level. A fundamental problem with traditional whole house fans was air leakage between the attic and living spaces. This could result in dirty attic air entering your home. The Centric Air 2.7 takes care of this problem with an ultra low leakage, maintenance free, industrial-quality damper. Silicone seals are provided to ensure sealing longevity; they also provide phenomenal resistance to weathering and changes in temperature. Silicone seals have an approximate service life of 30 years and remain flexible down to -40°F. The German-engineered sealed motor and industrial grade damper never requires lubrication or maintenance of any type. The best whole house fan! Thanks to Mike, I decided to get the centric air 2.7 model for our home. As soon as received it from UPS, I went ahead and I talked it with the help of my ternage kids. It took me about three hours to install due to lack of pre-planning. My kids made sure I did not fall off the ladder when I was cutting the vent hole on the edge of the top of the stairs. The fan with the two speed witless remote worked right away without issues. The range of the remote is pretty far which is great! The fan is silent on high speed. Overall, everything works great after two days of use, mainly for exhausting some fumes/smell from cooking. I have been trying to convince my husband to buy a whole house fan for years. He is so cheap but he finally bought the new Centric Air 2.7 for our home. The fan is really quite and cooled our home in last year hot summer. He is happy he bought it and that is a lot to say about Mr. Cheap. Thank you Mike for your help in talking with Jim. I really like the updated whole house fan we got. We had an older model originally, but it was starting to be kind of erratic. We decided to upgrade to this one, and we've been pleased with it ever since. It was much easier to put in than the old model, with its shorter hose and narrower fan. Yet it pumps out great power, cooling down the whole house like the old one never could. Glad we upgraded! - Cheap to run, but is effective cooling our home. We had to play with which windows should be opened. We also had to experiment with how much they should be opened. Once we figured this out, we could feel fresh air being sucked in. Our master bedroom, before the fan, would rarely get below 85deg (even with the AC on). It was ALWAYS hot. With this fan, I've had it in the mid-60s at night. I'm very pleased with this fan - thank you!!! I have a 2200 sq ft home and look at both the Quiet Cool and the Centric Air. What a difference in quality and features. Centric Air is very quiet and love the 2-Speed remote. I installed myself and it was easy. Highly recommend. I installed the Centric Air 2.7 two years ago. The unit is absolutely amazing in how it cools the house down quickly and quietly. It gets hot here throughout the summer, and especially with the afternoon and setting Sun the bedrooms and family room get hot. I turn the fan on and open the sliding glass door to allow even the slightest bit of cooler air to enter the house and cool the family room first. I then close the sliding glass door and open the bedroom windows, one at a time to allow the cool air to rush through an cool the bedrooms individually. The best part when I stand right beneath the vent, I can feel the cool air rush over me and into the attic. It's a great way to cool myself down quickly! Yes, I run the whole house fan for roughly 4 hours in the evening, and it makes this 2,300 sq. ft. home cool down quickly. There are also mornings where I will run the fan to get the attic cool before the sun begins to rise. On the rare nights where the evening temperature does not cool off, I use an air conditioner, but that has become very rare now. Your service and support, as well as really standing behind your product, even after the warranty lapsed, easily makes this the best investment in this house. Thank you for carrying such a high quality product. The remote control unit and auto-close damper are definitely must have items. Installed this whole house. This is the third (and final!) whole house fan for this house we’ll be installing. The first two fans, one a large bladed unit that lay horizontal in the ceiling and the second unit was a “quieter” two motor unit that was also installed in the ceiling. Both proved both disappointing and noisy (especially the large blade unit). I did a bit of research and found this Centric Air fan. The ratings on their website were positive (yeah, that’s a risk). We ordered and had their model 2.7 installed (the units come in sizes ranging from 1.5 thru 4), which was rated for a home of 2,400 sq ft (our place is just under 2,000 sq ft in size). Installation took our electrician (a very competent guy) around three hours. He got to the house around 8 AM and was gone before noon. Some of the necessary fabrication was likely already in place from our previous fan installs. First, this fan is QUIET!! (sorry for shouting…). On low you cannot hear the fan working (this is not hyperbole. There is no noise emanating from the ceiling duct.) How do I know it’s actually drawing air? When you put a piece of paper near the ceiling duct the paper is sucked upward, and air is coming through our home’s windows. On high you can hear air whooshing into the duct. I cannot discern the sound of an electric motor during the operation of this unit. We had the timer installed along with the hi/low switch. Not sure that was necessary, but what the heck. Fan is pricier than most whole house fans. We paid, with delivery (“free shipping”), $1,284 for the whole package. We haven’t yet received the electrician’s bill for installation. In short, we are very, very pleased with this whole house fan. By the way, have I mentioned that it’s very, very quiet…? I have a 1700 sq ft 2 story home. The heat in the second story bedrooms in the summer was unbearable. I shopped all the major fan brands: Airscape, Quite Cool & Tamarack. After talking with Mike at Factory Fans Direct I chose the 2.7 Centric Air with the new R-5 poly foam damper. I am very impressed. Super quite and energy efficient. I was so pleased I referred two neighbors who also purchased fans and Mike sent me a referral check. Cool your home and save and make money. Highly recommend. I really liked the CentricAir 2.7 with 2-speed remote with 5 function 8-hour timer. I installed the fan myself and plug in the controller box and it was up and running. I run the high speed on the remote to cool the house write-away and run the low speed at night when we sleep and also set the timer to shut off early in the morning.